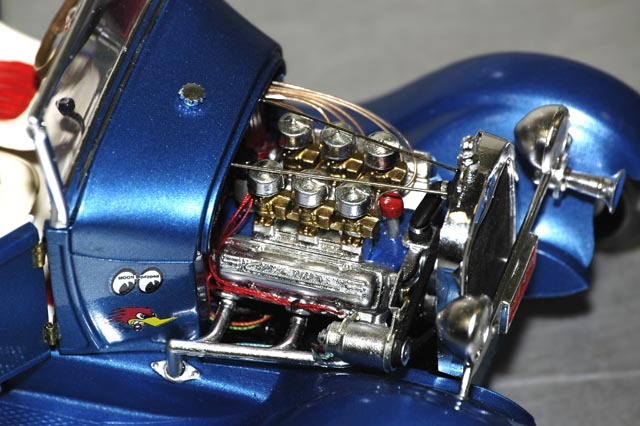 While built right out of the box, the engine is paint detailed and wired with the height of 1960's model wiring technology: sewing thread. On the engine, Norman did make one consession to today's materials: using modern monofilament line for the fuel lines. But then again, monofilament was available in the 60's, so it's not totally un-authentic to the period.